By making a planned gift to the Centerstone Foundation, you are leaving a legacy that will deliver care that changes people’s lives for generations to come. You may designate your gift to any Centerstone organization. Gift officers are available to discuss giving opportunities and to identify any further designation that would meet your philanthropic priorities. Gifts of $25,000 and greater may endow funds for patient/client care and other named programs. Gifts of any size will support Centerstone’s commitment to deliver care that changes people’s lives. This is an overlooked source of charitable gifts. Because this asset is so heavily taxed when passed to heirs, it makes an excellent testamentary charitable gift. You can simply designate Centerstone as a full or partial beneficiary of your IRA or other retirement fund. If you are of the appropriate age, you may also make a tax-free distribution from your IRA directly to Centerstone to satisfy your required minimum distribution. Contact your IRA plan administrator or financial advisor for more information. Using this method, you transfer assets to a trust, receive an income tax charitable deduction, and a stream of payments for life. You decide how the trust income and principal are to be distributed. When the trust terminates at your death, Centerstone receives the principal for the purposes you specify. Your charitable deduction is based on the age and number of beneficiaries and the rate of payout. When you make Centerstone Foundation the owner and beneficiary of a new policy, your premium payments are fully deductible, and the policy’s value is not part of your taxable estate. With an existing policy, you are entitled to an immediate tax deduction. If you decide to simply name Centerstone Foundation as beneficiary of the policy, you do not receive an immediate income tax deduction but, at your death, the executor can take a federal estate tax deduction for the entire amount. Centerstone receives the benefit now. A charitable lead trust allows you to transfer assets to family members at reduced tax cost while making a generous gift to Centerstone. You irrevocably transfer assets to the trust, usually cash or securities, and receive a gift tax deduction. Each year, the trustee makes payments to Centerstone. The lead trust’s term may be for a specific number of years (10-20 years is common), or for one or more lifetimes. At the end of the trust’s term, your beneficiaries will receive all the assets in the trust. Any asset growth that occurs within the trust will be distributed to your trust’s beneficiaries without additional taxation. For more information about these planned giving opportunities, email a Centerstone Gift Officer or submit your questions via this online form. 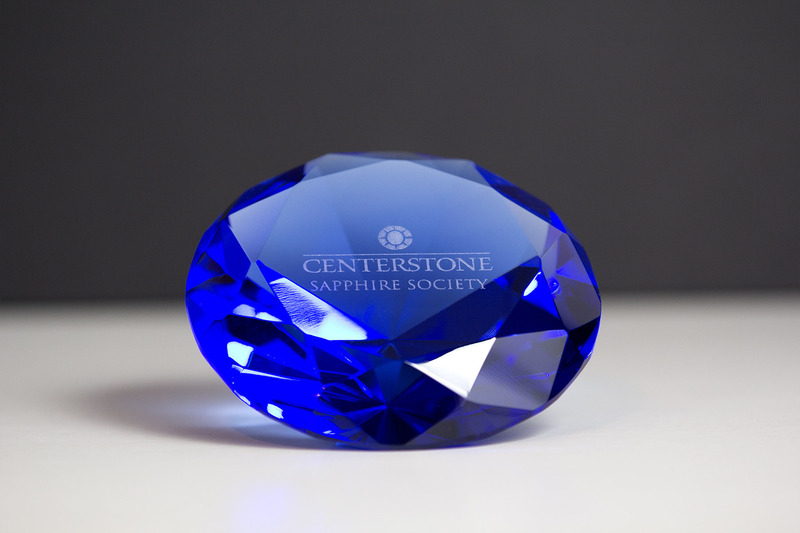 Centerstone has established the Sapphire Society, which honors the generosity and commitment of individuals who have chosen to create a lasting legacy to Centerstone through their will, trust, retirement fund, life insurance, or other planned gift. These distinguished contributors serve, like the beautiful sapphire, as precious and rare gifts for the future of behavioral healthcare. You can become a member of the Sapphire Society by making a gift to the Centerstone Foundation that will deliver care that changes people’s lives for generations to come. Society members share a common bond of generosity that nourishes Centerstone’s extraordinary achievement in behavioral health care, and ensures its programs and services will continue. If you have already made a planned gift commitment and would like to be welcomed into the Sapphire Society, or to let Centerstone Foundation know about your planned giving intentions, please complete and return this confidential membership form. Please note that Centerstone does not provide tax or legal advice. Advice from legal and tax counsel should be sought when considering a sizeable charitable gift of any kind.